My lips tend to get super chapped and dry no matter what the weather but especially during the cold winter months. Dry lips are not the most attractive of sights, especially if you like a good slick of the ol' lipstick like me so I like to keep them in the best condition. The one product I tend to reach for when the lips are in need of a little tlc is a super hydrating lip balm. I had been using Carmex lip balm for the longest time as it never let me down but I decided that I was in need of a change. The Dr PawPaw Balm came into my sights at just the right time. Let's start off with the packaging first. 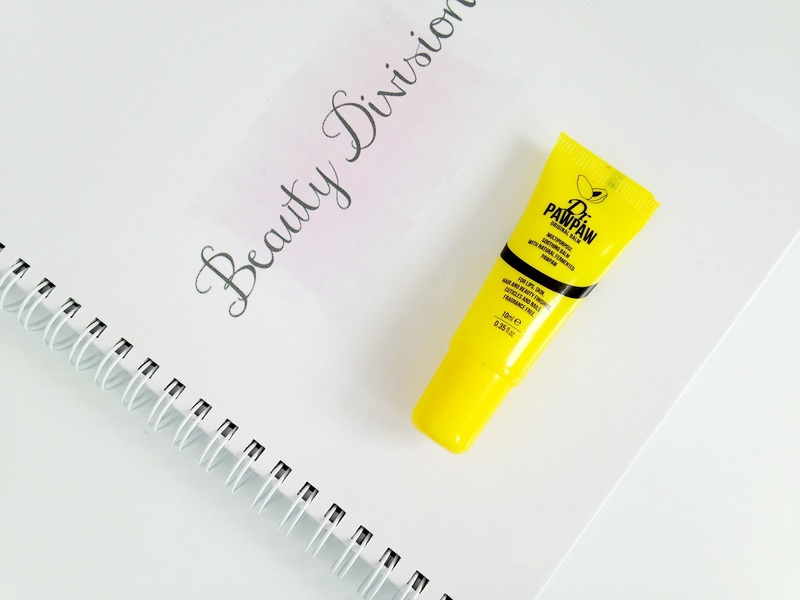 The balm is packaged inside a small, bright, almost fluorescent yellow tube with black writing which definitely stands out. It is a 10ml tube which, yes, seems a little small but I'm positive it will last me quite a while. You can also purchase it in a bigger size(25ml). Dr Pawpaw Balm is in fact a multipurpose, natural product, including just four ingredients(the main being pawpaw) and is also fragrance free. It can be used for a variety of purposes; for nails, feet, lips, cuticles, skin etc. It has also been said that you can use it as a nappy cream too. I must admit I didn't use it for all of these purposes. I have used the balm mainly for the lips to help soothe and repair but I have tested it on my heels too. You know how dry and cracked they get through the summer, urgh. The formula is a little on the thick side and it can be a struggle to squeeze out of the tube but damn, this is some hydrating stuff. I apply it on my lips before applying my makeup and boy does it sink in quickly. It makes my lips feel so moisturised and soft. It's just what a girl needs in a lip balm. It's the perfect base for a lip product. I absolutely love this balm and I shall be using it non stop during the coming months. You can purchase the Dr Pawpaw Balm here in a bigger 25ml size for £6.95. 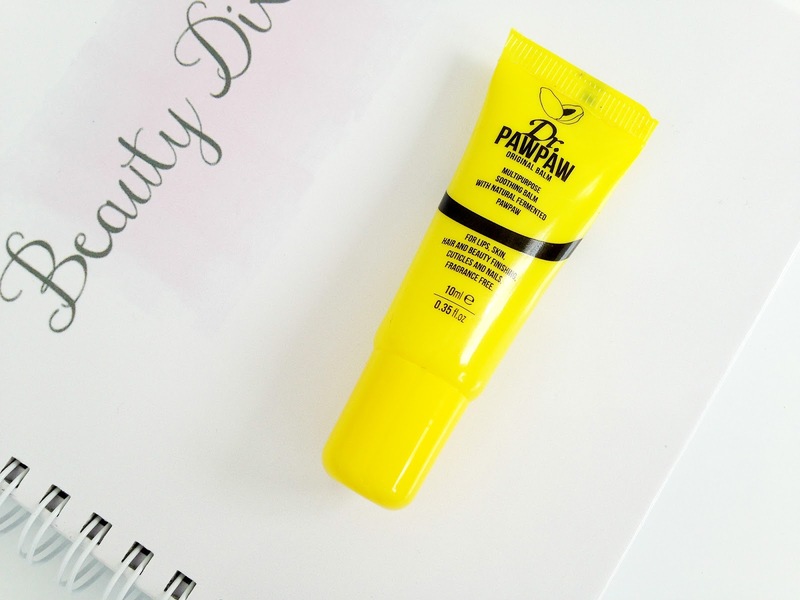 Have you tried the Dr Pawpaw balm? What do you think?